We woke up the earliest on day 4, about 6.30am. 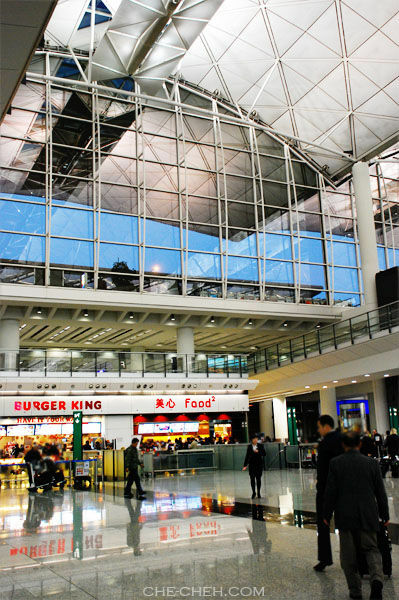 Our plan for this day is to go to Lantau Island to see the Big Buddha (tai fatt). Of all the days we can choose it had to be on this day?? Well, it was the foggiest day of all!!! You’ll see what I mean later. Since it was so early (7.30am), most restaurants has not open. Luckily we found one at Hankow Road. 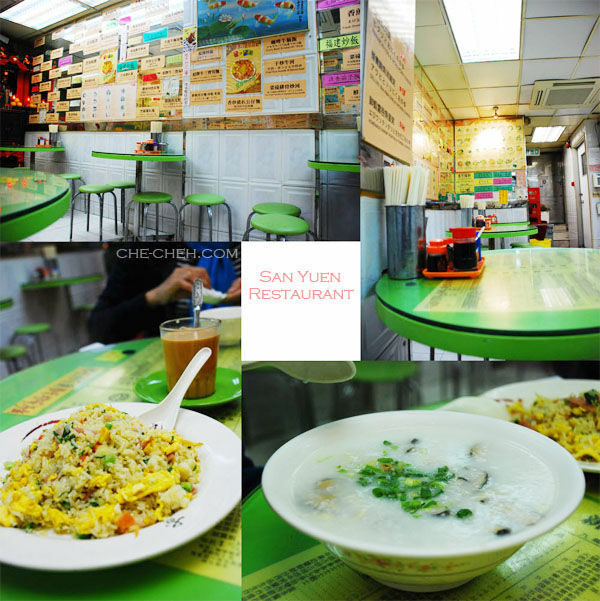 Our breakfast at San Yuen Restaurant wasn’t a pleasant one. We get a shock of our life just as we were walking out of that restaurant. Hence I’m not going to share it at Messy Witchen. The ham fried rice was incredibly good (has wok hei). Couple with a cup of nai cha and chili oil… HEAVEN! Couldn’t say the same for the porridge. It was so yucky! Too salty. The waiter who took our order was quite rude. 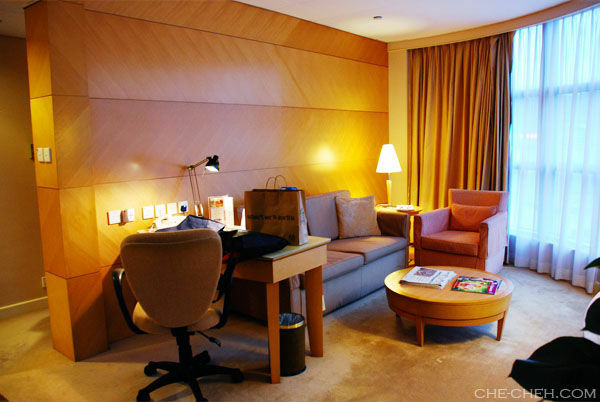 We only have one main agenda on day 3 that is to visit Ocean Park (海洋公園 Hoi Yong Kung Yuen). Ever since I was 12 years old I have wanted to visit this place. And on this day my dream was fulfilled. So happy!!! Wanted to go during my 1st visit but had to choose Disneyland over this. Disneyland was tempting but a disappointment. So that morning we walked to Ashley Road at 10am. Had our breakfast in Hing Fat Restaurant. Ohh finally I have my ha kau! The food was good. Read my review of Hing Fat Restaurant here. Then we took the MTR from Tsim Sha Tsui to Admiralty. At exit B of Admiralty MTR is the Ocean Park bus stop. We bought bus tickets (Citybus No. 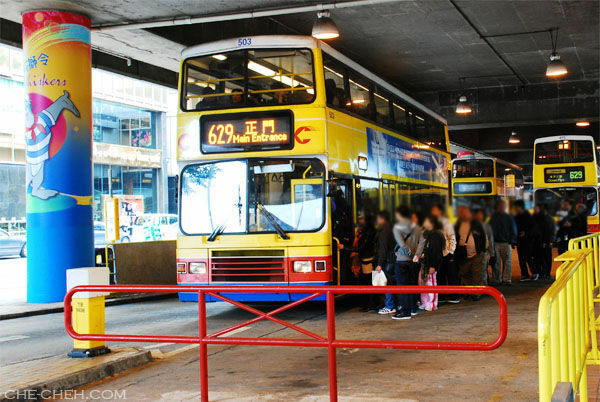 629) and also the Ocean Park admission tickets (HK$250; RM99.25) at the bus/Ocean Park counter. The counter is hard to miss due to long queues. Total journey to Ocean Park took 10 mins only. No jam baby! Do check out Hong Kong Day 1: Airport Express, Thematic Lantern Exhibition & Heritage 1881 before reading my day 2 adventure. On day 2, the fog continue to smoother Victoria Harbour. I have expected it. This is the kind of ‘weather’ you get during January/February in Hong Kong. 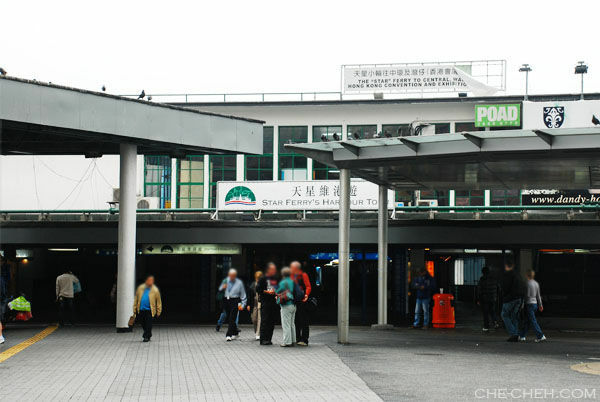 At 10am, we walked to Star Ferry pier, Tsim Sha Tsui which is just few minutes from YMCA. 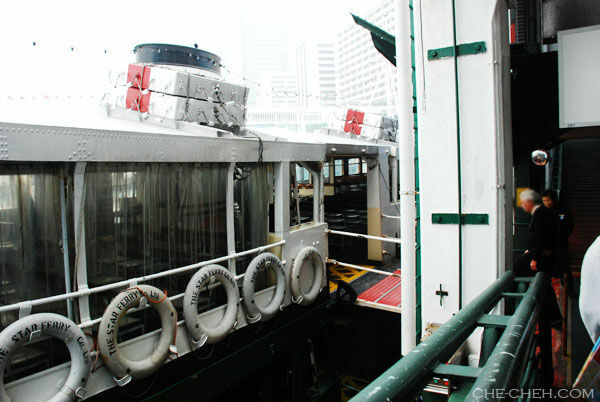 This is my first time on board the famous Star Ferry.